For more information, please call 801-292-96997 or Toll Free 888-532-1088. 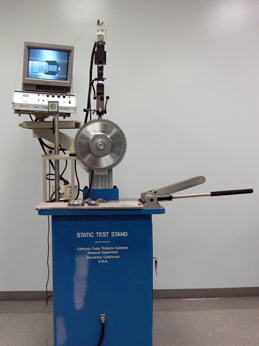 We inspect all precision saw blades on our test stand to insure they are FLAT before sharpening. With 180x magnification, we inspect all saw blades after sharpening to insure there are no chips in the carbide and all edges are sharp. And, again, we inspect for flatness. 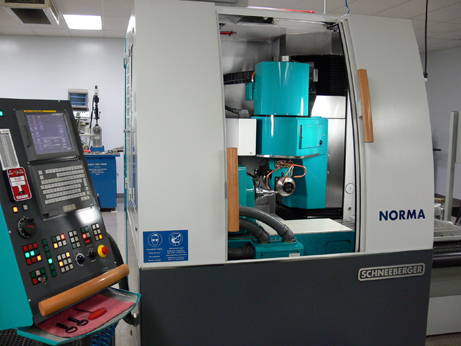 Our saw grinding machines are the latest CNC technology of today. We grind all saw blades to the manufacturer's specifications. We put the sharpen program number on the saw blade to insure it gets the same sharpening geometry each time we sharpen it. We keep of history of how many times we sharpen your blades. In most cases, we can sharpen your blades 14 to 24 times before you need to replaces them. We grind with high pressure oil coolant to keep the heat off the tooth for a smooth and sharper cutting edge. 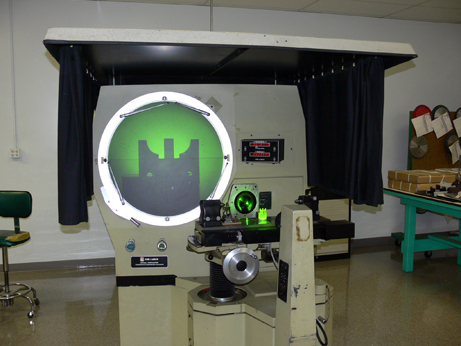 This optical comparator has 10x, 20x and 50x magnifications with accuracy digital readout of .00001 inch or millimeter. 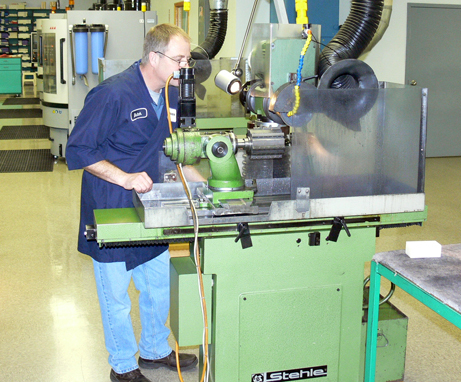 We inspect carbide inserts and solid spiral router bits here. This insures all inserts are exactly the same. And, we mark all spiral bits with their new cutting diameter. CNC 5 Axis precision manufactured carbide inserts ground to .0003" tolerance. We manufacture inserts from you DXF file, wood sample, your insert, or drawing. Flooring Manufacturers: We can sharpen dull tongue and groove inserts for half the price of new (call for information). We sharpen solid carbide round tools, spiral bits, compression bits and roughing bits. We mark the tool diameter on each bit after sharpening for easy CNC router programming. We clean and inspect all router bits for chipped or cracked carbide. All bearings are inspected to insure free movement. 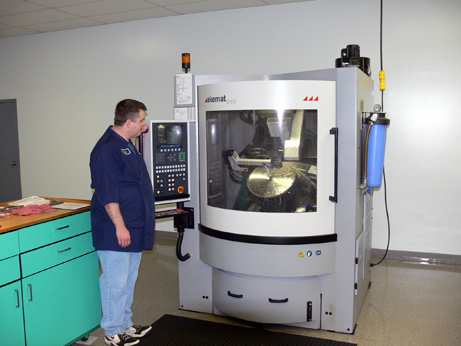 All bits are ground with 320 grit wheels to index and manufacturing specifications. 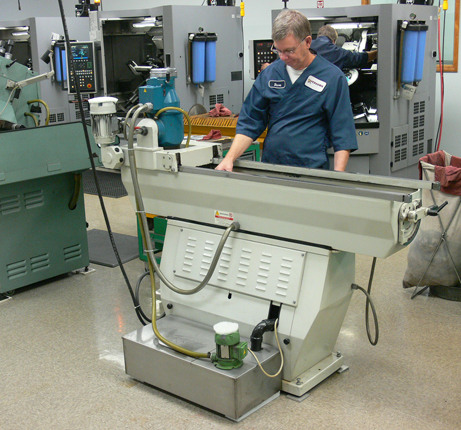 We have the capacity of grinding up to 17 feet long and 10 inches wide on this grinder. It is the latest CNC technology for a very accurate and sharp edge. We sharpen paper shear knives (high speed steel and carbide), granulator knives, guillotine knives for the picture framing industry, and metal shears. We face sharpen cutters. We remove the same amount from each wing to ensure all wings are cutting. To give you longer tool life, we only grind off what is necessary to make the cutter sharp. 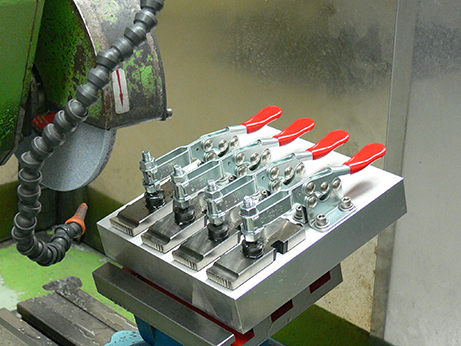 Style and rail cutters are sharpened as a set, so they keep their fit. 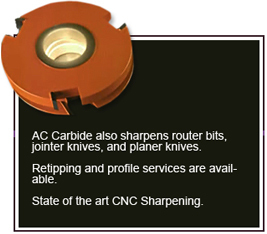 We sharpen HSS and Carbide jointer and planer knives. We grind the same amount off each knife to keep balance. We also grind the knives parallel. 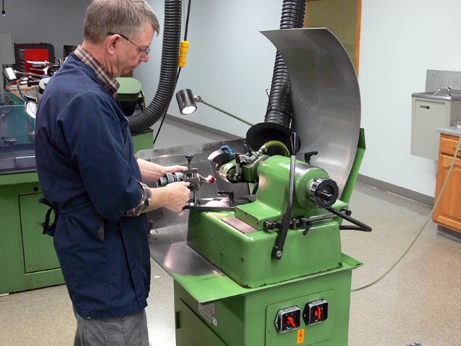 We sharpen Rigid (type) 4-piece thread dies and Landis thread dies to manufacturer's specifications. Note: Most 4-piece thread dies can only be sharpened two times.